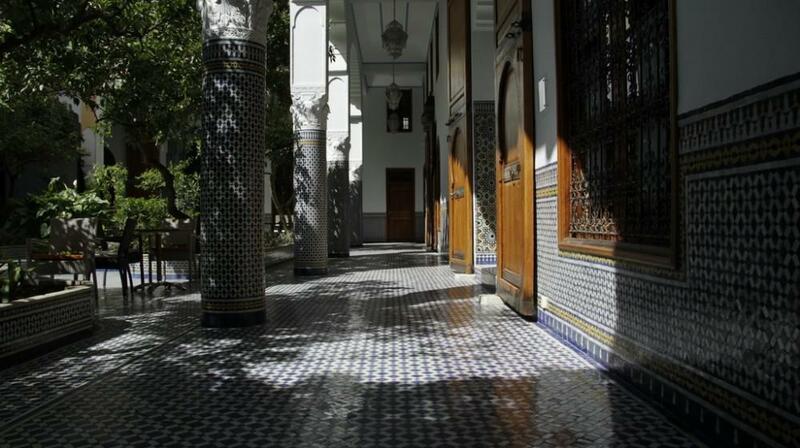 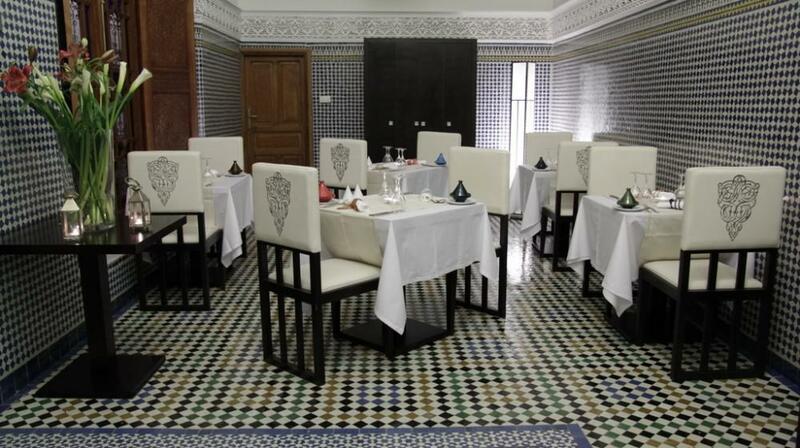 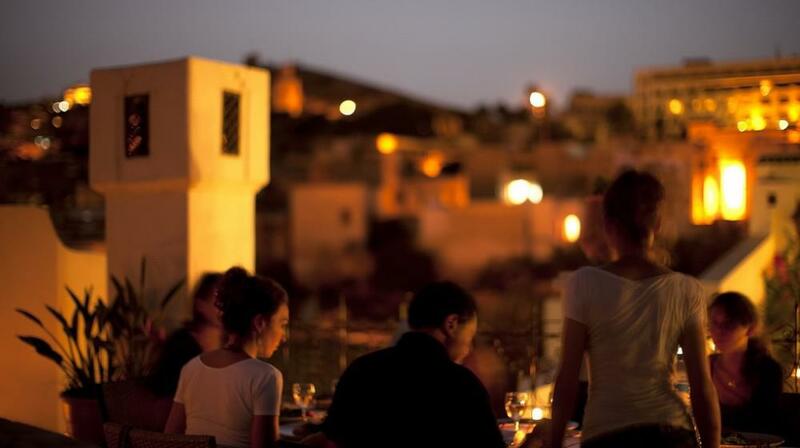 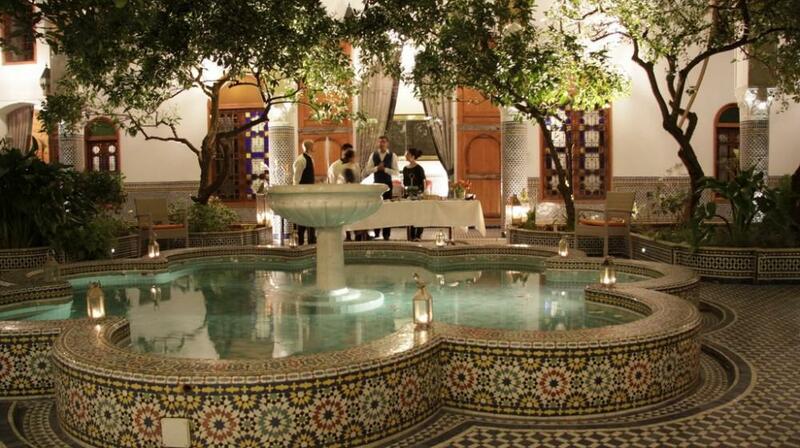 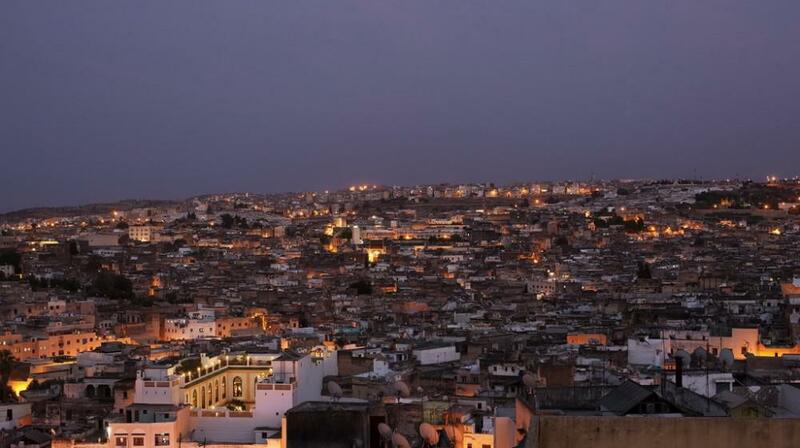 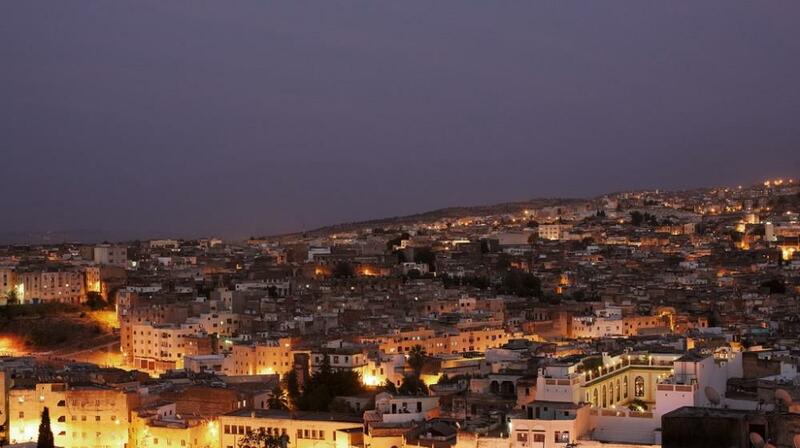 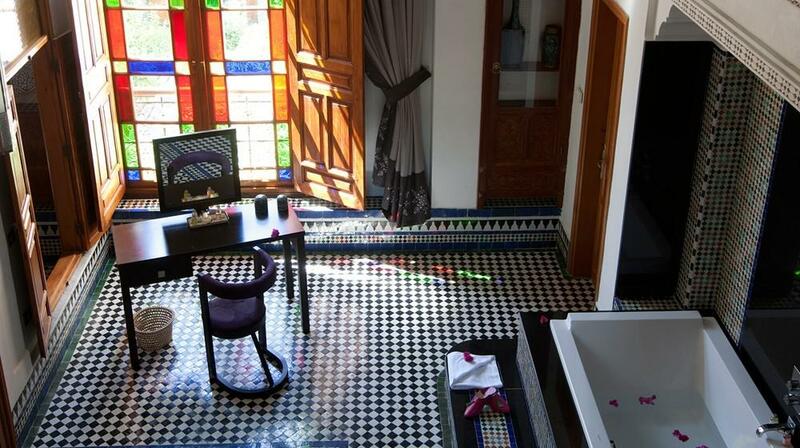 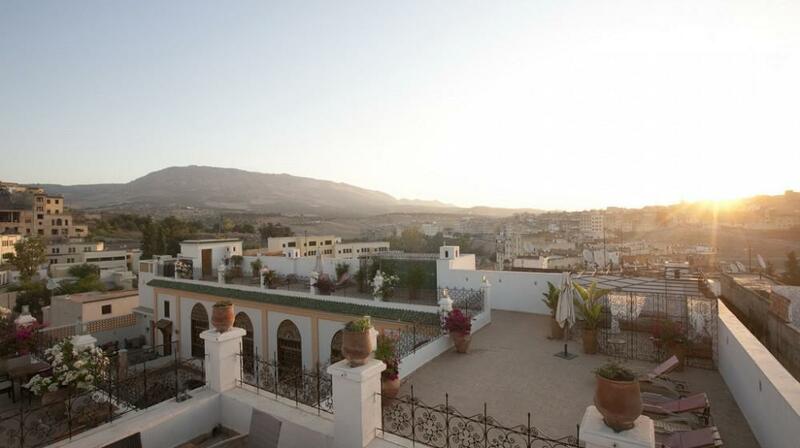 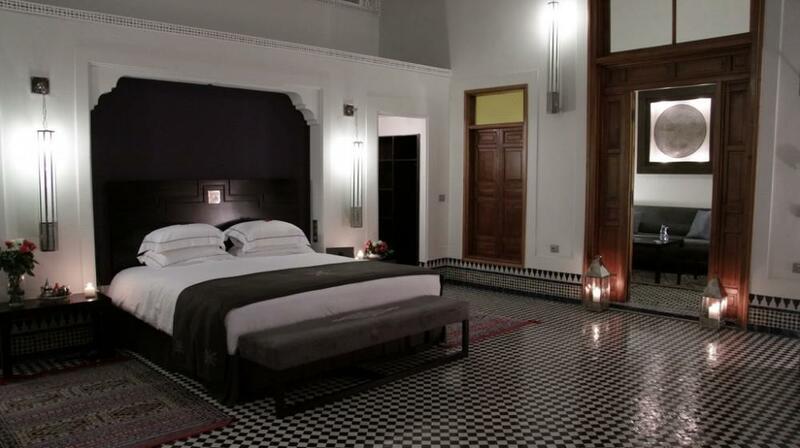 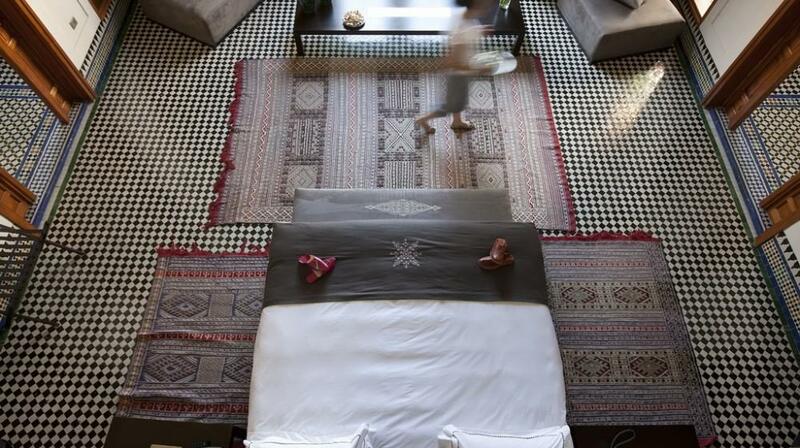 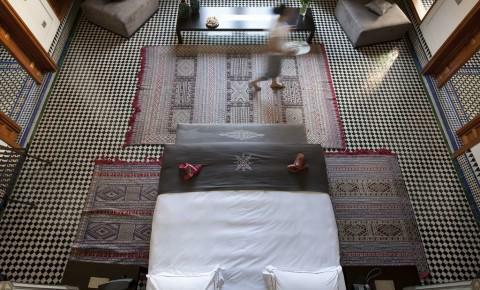 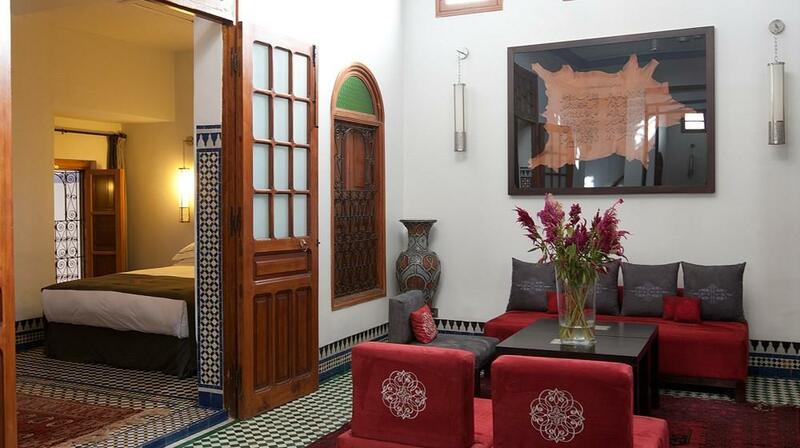 The Palais Amani is one of the largest riads in the city of Fez. 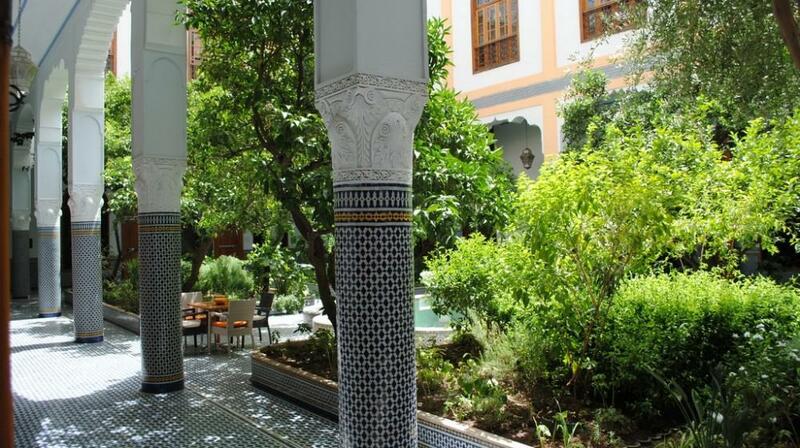 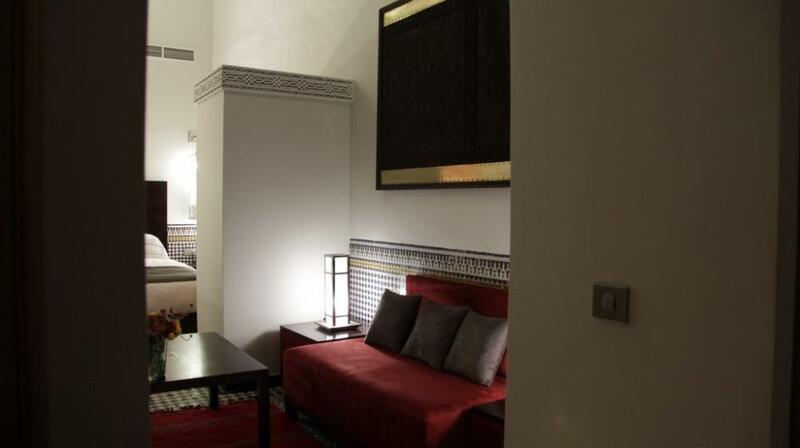 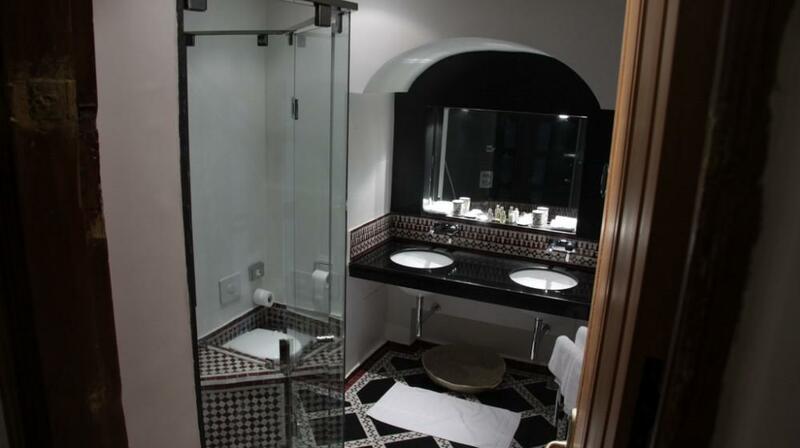 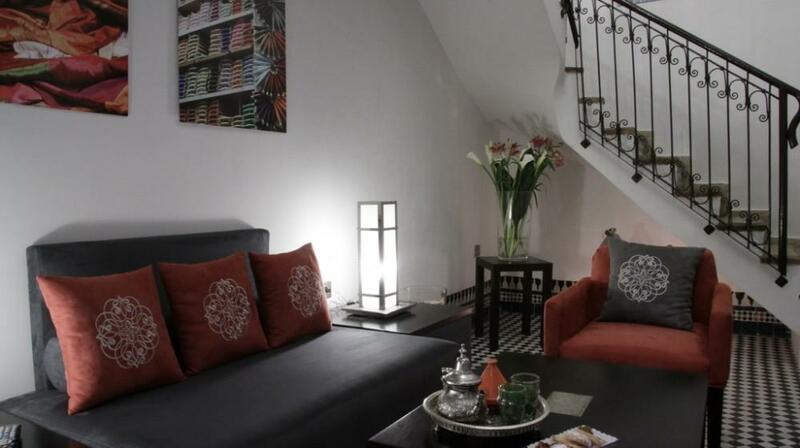 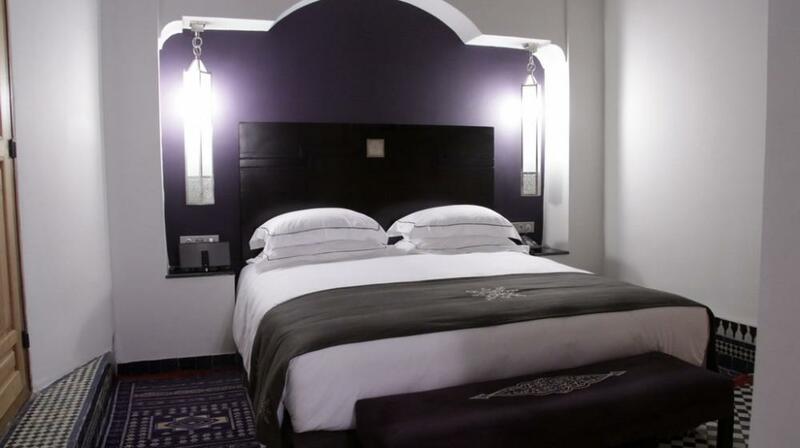 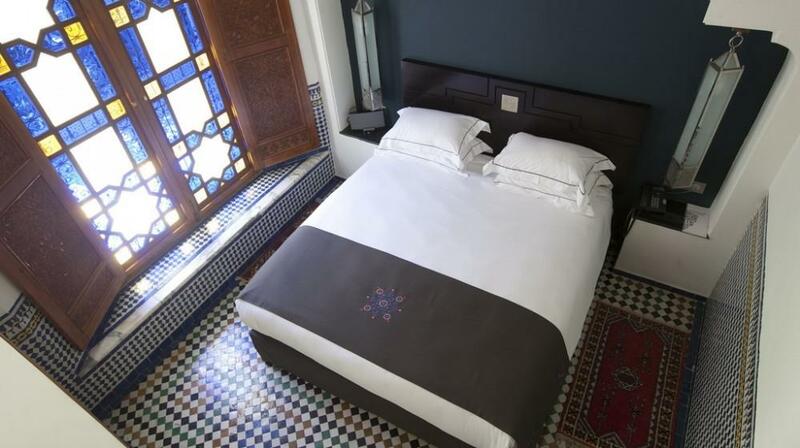 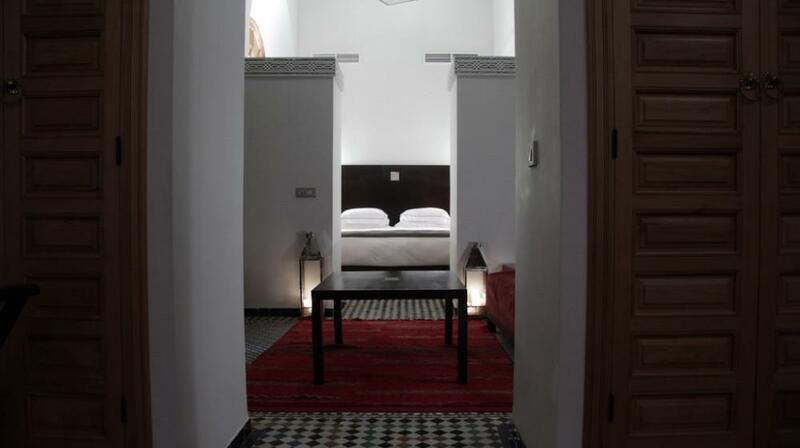 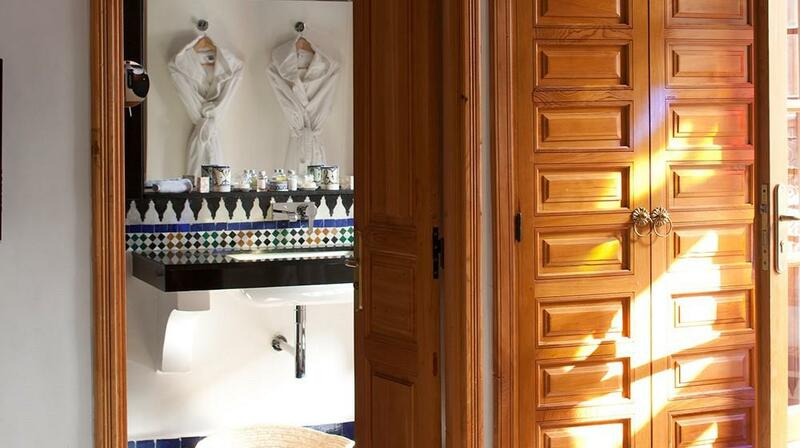 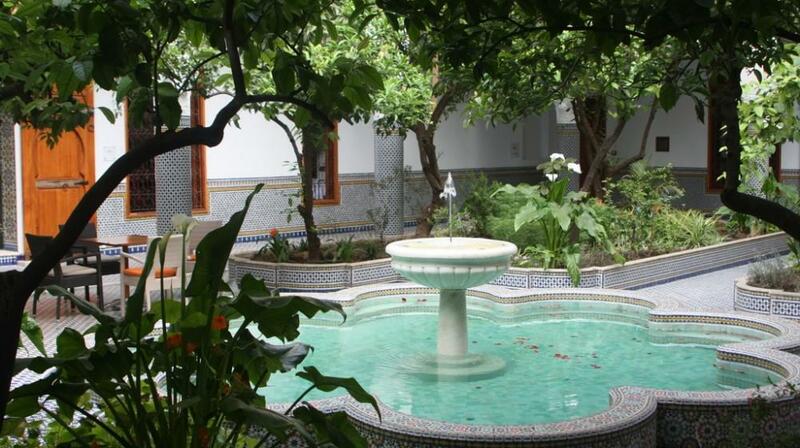 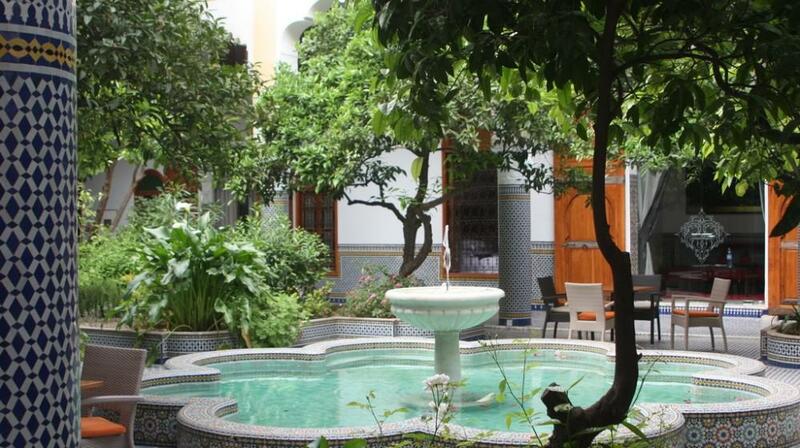 This historic building is located within the ancient walls of the ancient city, the medina, with its intimate atmosphere. 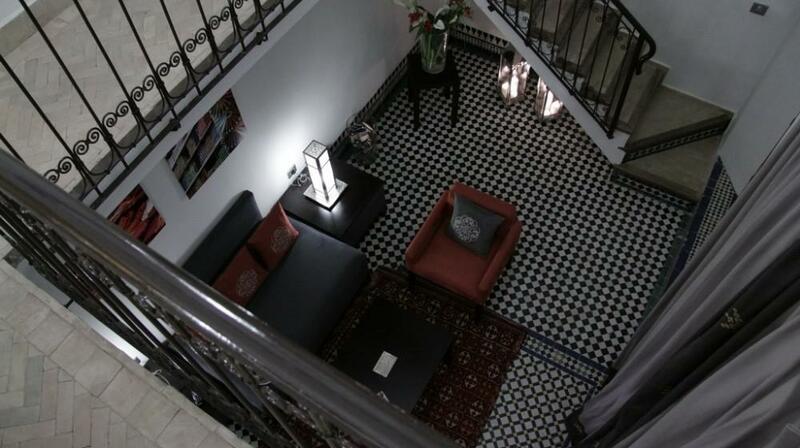 Great attention has been paid to all details of the property. 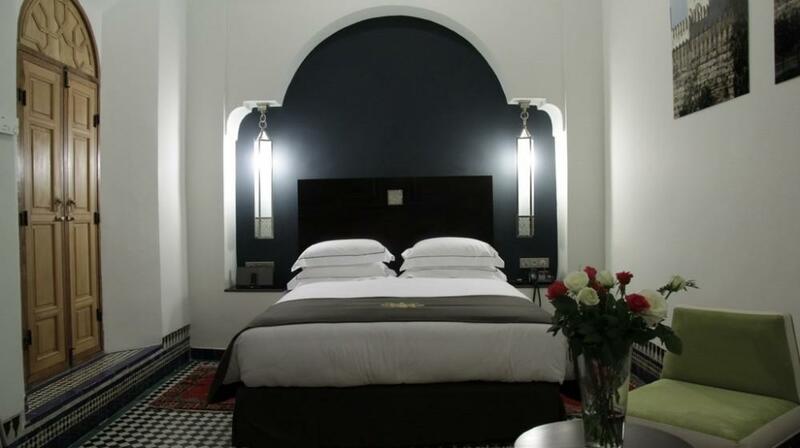 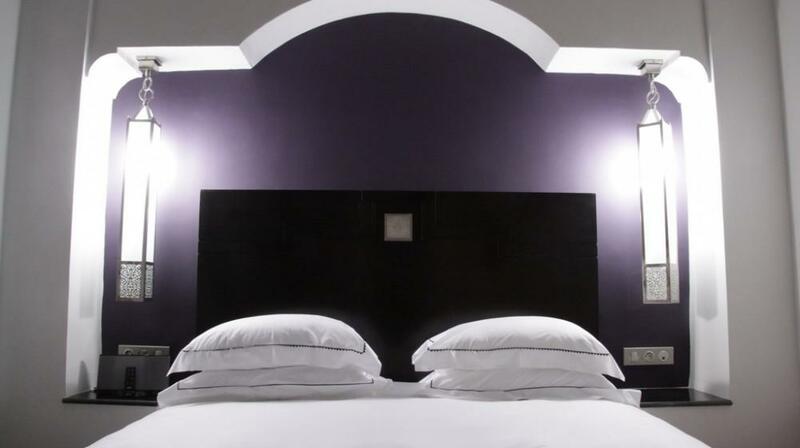 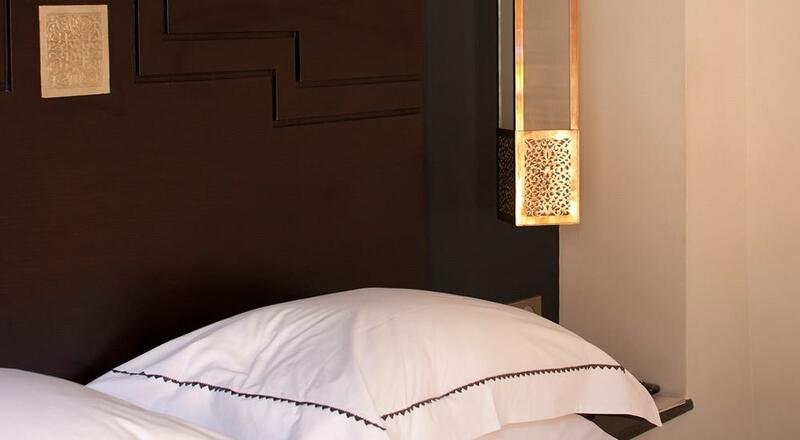 The building has been completely renovated in an art deco style, which is reflected in all areas of the hotel which conveys a sober, elegant and also sumptuous atmosphere. 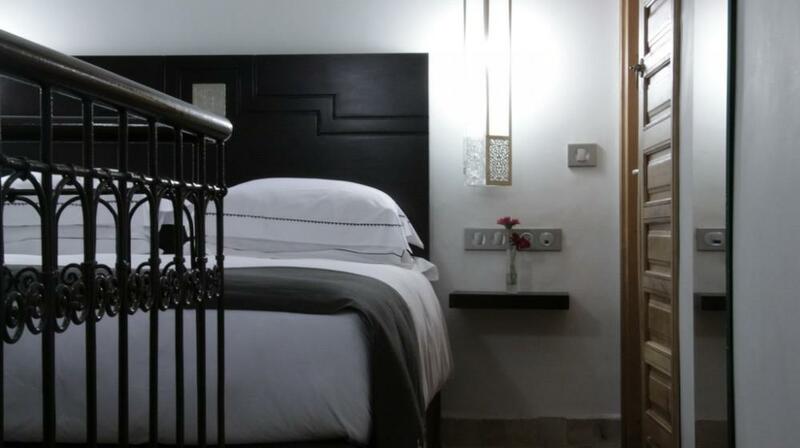 All 9 suites and 5 rooms of the property have a very high level of comfort, such as a private sound system, a courtesy line and wireless internet access. 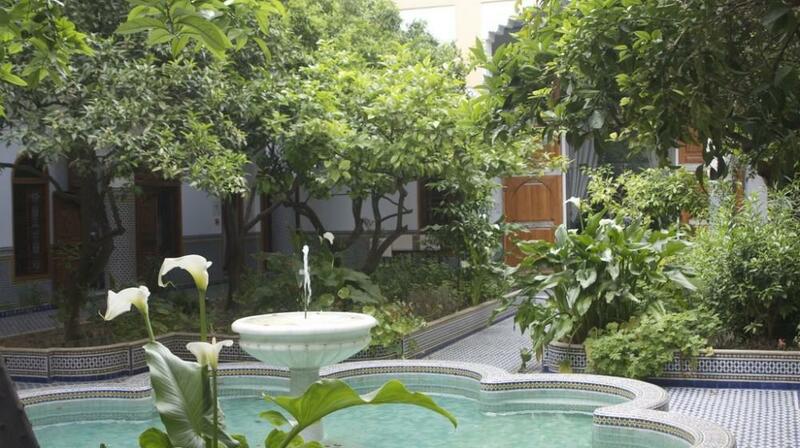 Among the facilities guests can enjoy a lounge,a library, a roof bar, wonderful terraces and in the center of the riad a typical Moroccan garden with herbs and citrus plants. 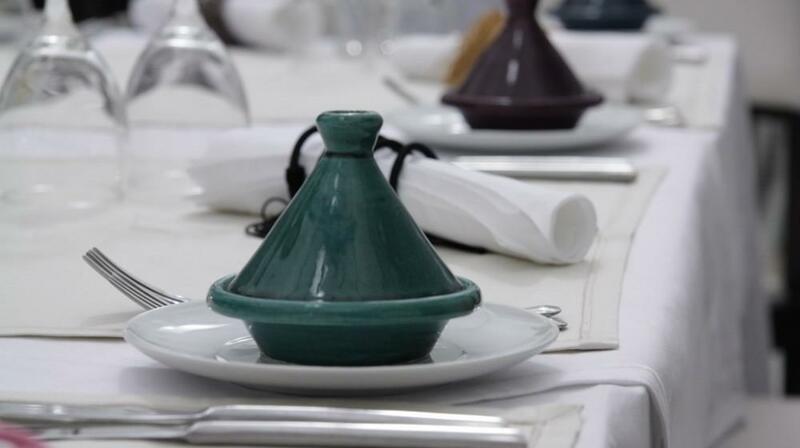 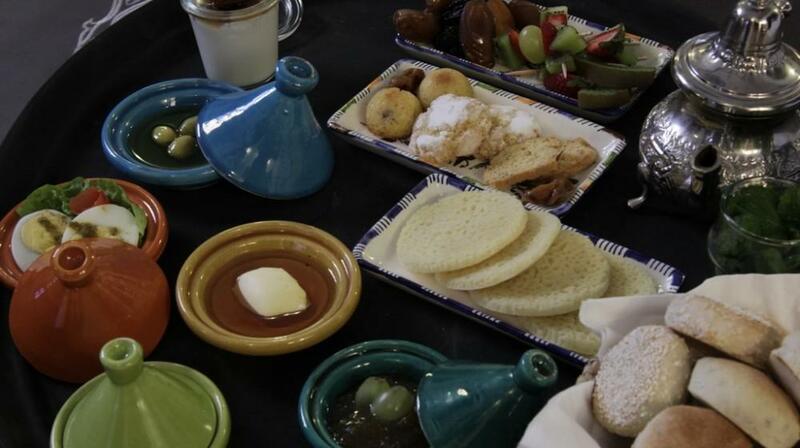 In the morning guests will be served a traditional Moroccan breakfast, while in the evening typical gourmet dinners can be tasted with a la carte menu in the luxurious garden with the scent of citrus fruits and a refined atmosphere. 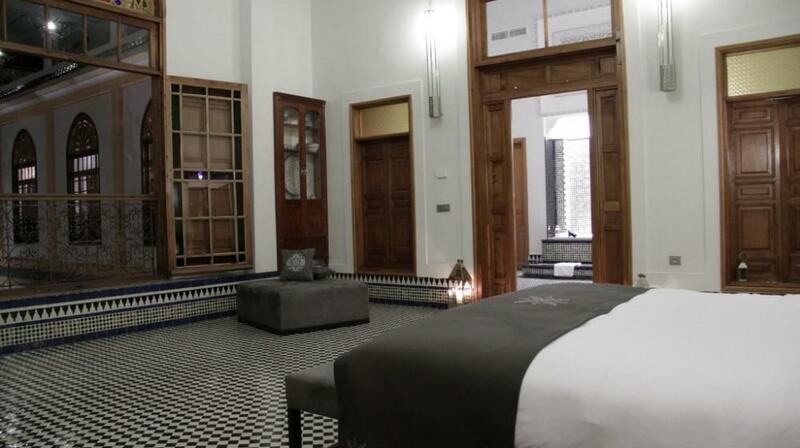 For your relaxation and wellbeing, the prestigious Spa with traditional Moroccan hammam and a series of treatments and massages will make your stay at the Palais Amani a unique and unforgettable experience.